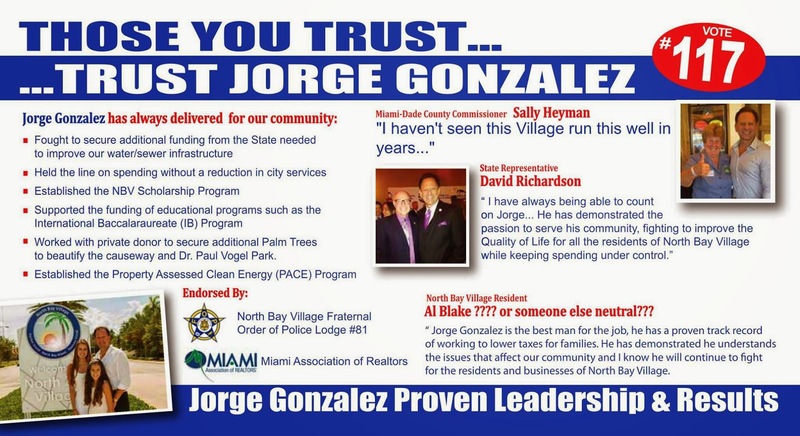 Commissioner Gonzalez has no enemies but he is profoundly disliked by his friends, which is what made it so difficult to find endorsements for him. So few were willing to go on record that he finally had to hire someone to write endorsements and then go around the village begging for a name. Don't believe me? Here's his most recent flier - note that the fulsome endorsement from "a North Bay Village Resident" is all written out but no one knew who they could claim said this. This is an actual posting from Facebook on October 27 of a flier he sent out on October 22. Pretty sad. Al Blake ??? or someone else neutral??? 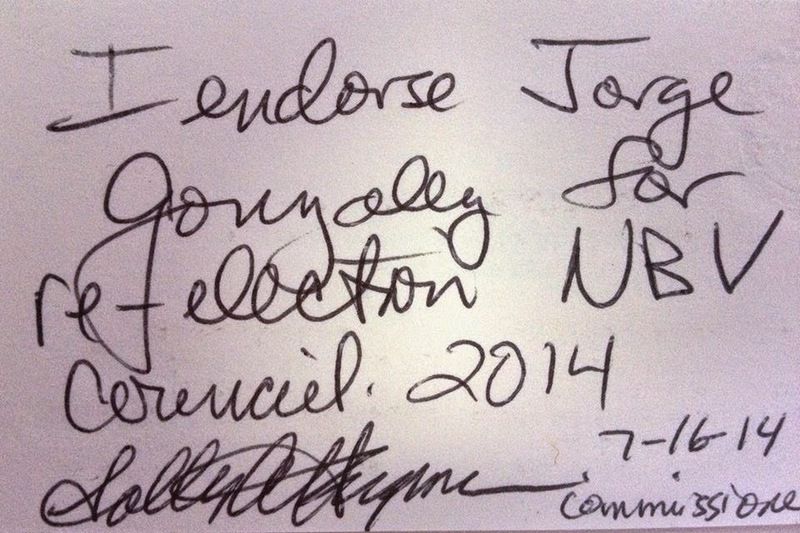 Comrade Gonzalez is also excited by this endorsement from Sally Heyman, scrawled on the back of a business card. I kid you not. 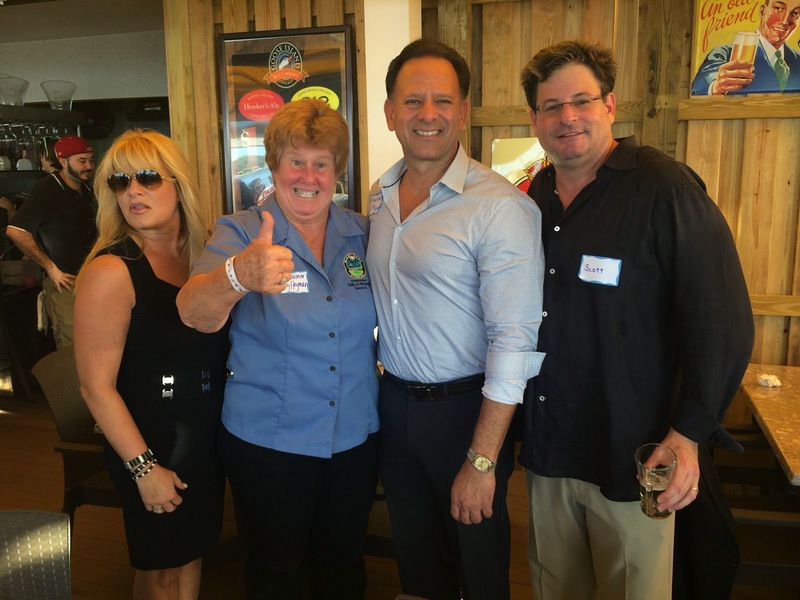 He got so excited that he cropped the below picture from his event at Shuckers (to cut out the developer and the random woman) to put on the above endorsement flier. A now a big finale - Comrade Gonzalez was endorsed the North Bay Village Fraternal Order of Police. It's true. And it was surprisingly inexpensive (for him.) The police union rewarded him for his support to give raises all around, block any questions about the stolen NBVPD police truck, the phone monitoring scandal, the police chief's wife employment, or the lack of speed enforcement. In fact, the FOP found this so honorable that they didn't even bother to interview anyone else. Once Jorge handed over the cash, they were 100% behind him, Well 90%. Well really it was just one guy but he really likes Gonzalez. So there you have it folks. That proves it. People who are assigned to like Gonzalez do so, casual notes scrawled in a bar are his testament and he's bought the trust (with our money) of people we wonder about. In the meantime, Comrade Gonzalez is bellowing threateningly because he will not tolerate the questions about his bankruptcy (he has one but says it was not his), his tax delinquency since 2010, the court's judgment that he owed nearly $1m, why he got an all expense paid trip to Turkey in May, why he voted for an ordinance to hide gifts. He believes it is unfair campaign practice to ask these questions. 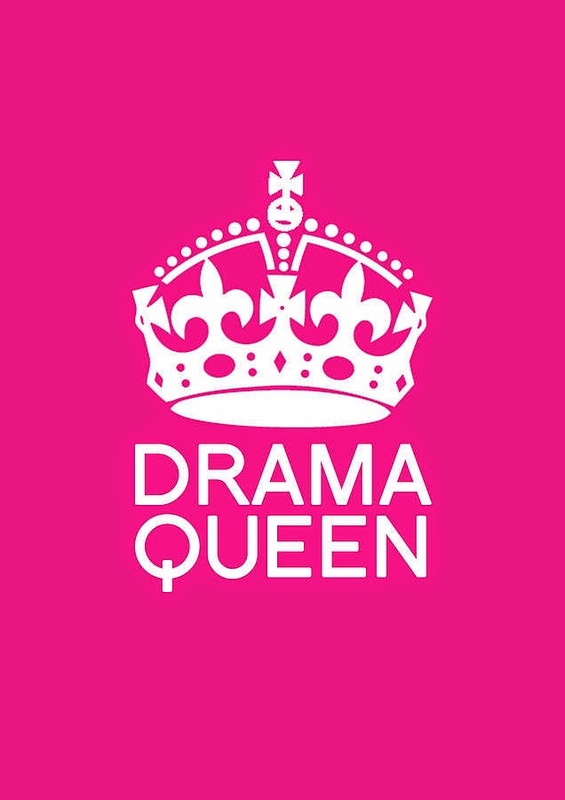 And for this and many other reasons, please join me in presenting the North Bay Village Drama Queen of the Year 2014 to Comrade Jorge Gonzalez.